Areas of Teaching and Research: modern and contemporary poetry and poetics; backgrounds of modernism and the history of the avant-garde; dramatic literature and performance studies; the interrelations of the arts; creative writing. The Very Thought of Herbert Blau. Co-Editor (with Joseph Roach). U of Michigan Press, 2018.. Writing On Water / Writing On Air. U of North Florida, 2016. Sites of Performance—Of Time and Memory. Anthem Press, 2014. StonePoems. Bratislava: Kalligram Press; Budapest: Institute of Broken and Reduced Languages, 1999. "Dance of Light and Loss," Performing Arts Journal (PAJ 112, 2016). Vol. 38, No. 1: 56-62. "Picturing the Flames of Daimonji," Kyoto Journal (Winter 2015). Vol. 84: 20-33. "Bodies of Water: Somebody | Nobody" (For E.D. 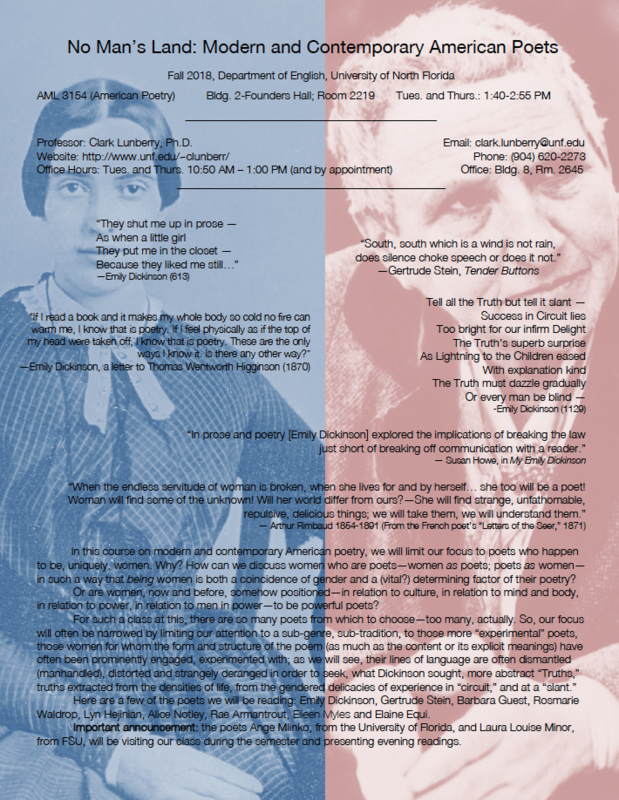 ), Emily Dickinson International Society Bulletin (Nov/Dec 2015). Vol. 27, No. 2: 16-20. "Reinventing, Vowel by Colorful Vowel," Five Points: A Journal of Literature and Art (Fall 2014). Vol. 16, No. 2: 104-111. “‘…In Front of Our Eyes’ — Remembering Herbert Blau,” The Beckett Circle, the newsletter of the Samuel Beckett Society, Oxford University (Spring 2014). Drama Review, (Winter 2013), Vol. 57, No. 4 (T220): 172–174. “That’s the Beauty of It, Or, Why John Ashbery is Not a Painter,” Journal of Modern Literature. 34: 4 (Summer 2011): 172- 184. Creative Writing, 7: 2 (Fall 2010): 139-159.
of Literature 37: 1 (March 2009): 85-98. Studies in Emerging Knowledge (Winter 2008). Number 2 (Summer 2006): 17-50. 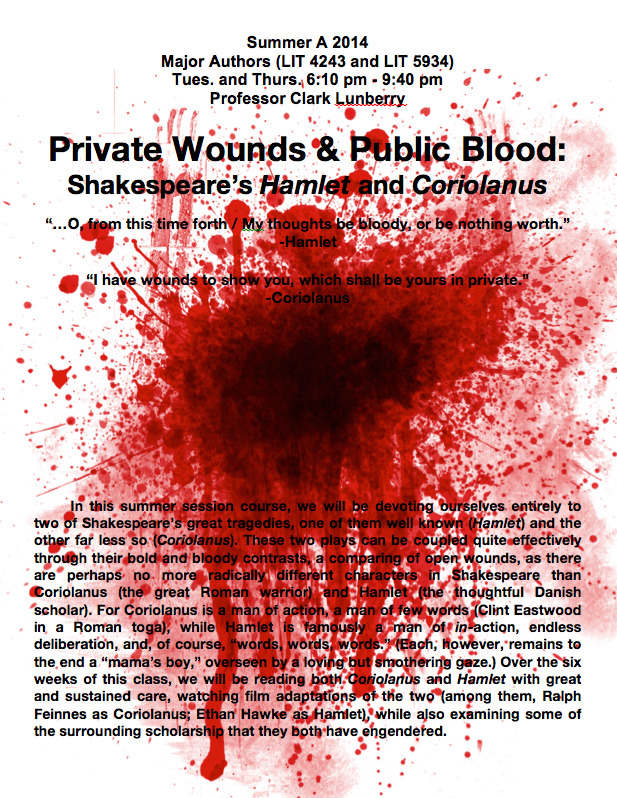 “Wiping Blood from the Walls: Medea’s Pleasures of Terror.” Theatre Topics 16: 1 (March 2006): 35-45. Sites of Sound, Alchemies of Air: Audiotropsm. CD Liner Notes for live trio improvisations by Hal Rammel, Thomas Gaudynski and Steve Nelson-Raney. Milwaukee, WI: Necessary Arts, 2005. Study of Literature 37: 1 (March 2004): 119-133. “In the Name of Coriolanus: The Prompter (Prompted).” Comparative Literature 54: 3 (Summer 2002): 229-241. "Quiet Catastrophe: Robert Smithson’s Spiral Jetty, Vanished.” Discourse 24.2 (Spring 2002): 84-118. “‘Staring Sightlessly’: Proust’s Presence in Beckett’s Absence.” Beckett’s Proust/Deleuze’s Proust. Ed. Mary Bryden and Margaret Topping. Hampshire, UK: Palgrave Macmillan, 2009: 117-127. “‘Collaborating with Entropy’: Robert Smithson’s Enantiomorphic Chambers and the Exhibition of Absence.” Im)permanence: Cultures in/out of Time. Ed. Judith Schachter and Steve Brockmann. Pittsburgh: Penn State UP, 2008: 59-69. "East Meets West Meets East: Dreaming Japanese Butoh." The Avant-garde and the Margins: New Territories of Modernism. Ed. Sanja Bahun-Radunovic and Marinos Pourgouris. Cambridge: Cambridge Scholars Press, 2006. “In the Name of Coriolanus: The Prompter (Prompted).” Shakespearean Criticism (SC-96). Ed. Michelle Lee. Farmington Hills, MI: Thomson Gale, 2006: 165-172. “The Accidental Re-Appearance of Language” in Thus Spake the Corpse: An Exquisite Corpse Reader, 1988-1998, Vol. 2, Poetry and Essays. Eds. Andrei Codrescu and Laura Rosenthal. Santa Rosa: Black Sparrow Press, 2000: 395-405. "DisAppearingWorld," Svandemman Pond, Uppsala, Sweden, September 2018. "Vanishing Point | Point Vanishing," Lake Herrick, University of Georgia, Athens, Georgia, November 2017." Image | Mirage," a Writing on Water Art and Poetry Installation, University of Oxford, on the pond adjacent to Lazenbee's Ground Walk, Oxford, England, September 11-16, 2017. "And then the Windows failed," a Writing on Water / Writing on Air Art Installation, Fondation des Etats-Unis (windows of the Grand Salon), and on the lake inside the Parc Montsouris, Paris, France, June 22 – July 1, 2016. “Mizu No Oto” (Sound of Water). “Writing on Water / Writing on Air” Art Installation, Tama Art University (Hachioji Campus), Tokyo, Japan, June 30 – 28, 2015. “A Time To”; “Writing on Air”; “Mixed Signals.” Stanford University (USA), in conjunction with the conference “Performance Studies International 19” (PSi 19), June 25-July 1, 2013. "Sight | Light," FSCJ-Kent Campus Library, Jacksonville, Florida, Feb. 2 – May 7, 2013. "In One Ear & Out the Other," Université Sorbonne Nouvelle Paris 3 (France), in conjunction with the conference “Transatlantic Cage: John Cage’s Centennial in Paris.” September 19 - 22, 2012. "Neither Here Nor There," University of Toronto, in conjunction with the conference “(An)Aesthetic of Absence - Une esthétique de l'absence,” March 8 – 12, 2012. "No Such Thing," University of North Florida, Jacksonville, FL (USA), in conjunction with UNF's John Cage Festival, March 1 – April 8, 2012. “Crossing Over (After Hakuin),” Pt. 1. Hiroshima City University, Hiroshima, Japan, July 4-8, 2011. “Crossing Over (After Hakuin),” Pt. 2. Keio University (Hiyoshi Campus), Tokyo, Japan, July 11-15, 2011. “Sensation: Water | Trees | Sky,” University of North Florida, Jacksonville, FL (USA), March 21 – April 13, 2011. “Word In Mind.” Jacksonville Transportation Authority (JTA) projection event, at the San Marco Skyway Station, Jacksonville, FL (USA). Dec. 1, 2010. “Providing Positioning," University of Durham (England), in conjunction with the conference “Cosmopoetics: Mediating a New World Poetics,” Sept. 8-10, 2010. "The Uncomprehending Window," Institut Charles V – Université Paris Diderot, Paris, France, in conjunction with the conference “John Ashbery in Paris,” March 11 – 13, 2010. “Floating Form Less,” University of North Florida, Jacksonville, FL (USA), Nov. 1-14, 2009. 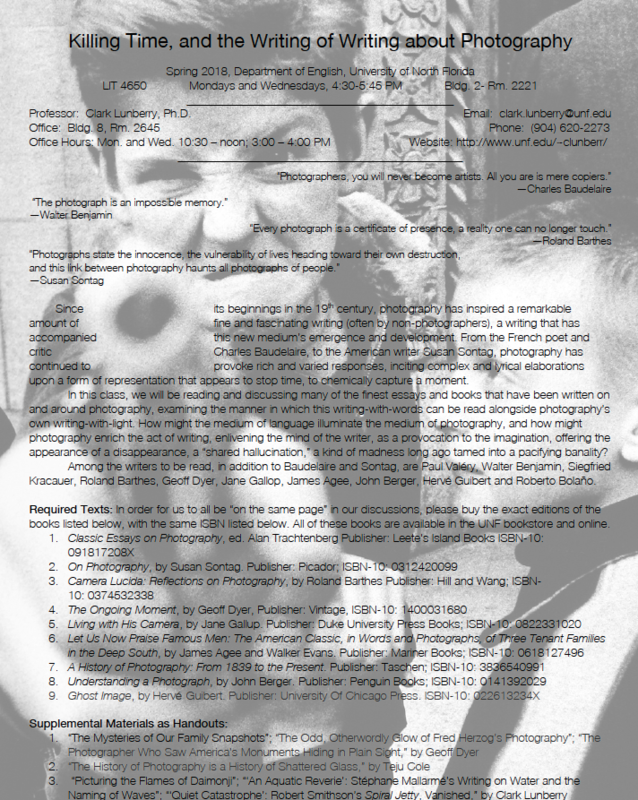 “Murmur of Words / Murmur of Wounds,” University of North Florida, Jacksonville, FL (USA), February 2008. “Water on Water,” University of North Florida, Jacksonville, FL (USA), April 7-20, 2007. "Writing on Water | Writing on Air," The Curtis Meltzer Memorial Lecture, Story and Song Bookstore, Fernandina Beach, Florida, October 24, 2018. "Surface Tension: Writing on Water," Uppsala University, September 18, 2018; and Stockholm University, September 21, 2018. 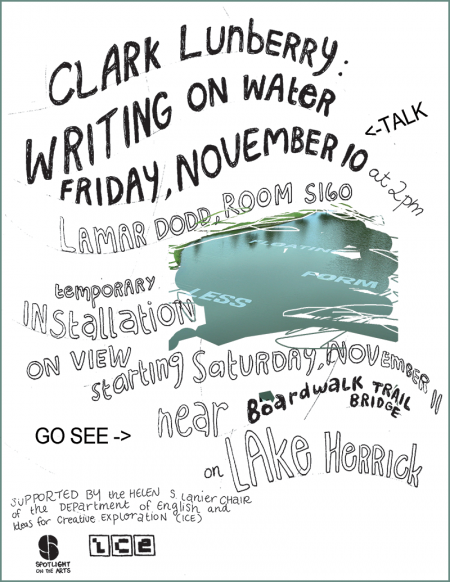 "Writing on Water," an invited talk at the University of Georgia's Ideas for Creative Exploration (ICE), Athens, GA, November 10, 2017. "Bodies of Water: Somebody | Nobody" (For E.D. ), Emily Dickinson International Society Bulletin. Vol. 27, No. 2: 16-20. “Writing on Water: Extensions of Text (and Teaching) onto Landscape.” New Writing: The International Journal for the Practice and Theory of Creative Writing, 7: 2 (Fall 2010): 139-159. “Writing on Water / Writing on Air: Language onto Landscape,” an invited lecture at the Université de Caen (France), March 17, 2010. “Correspondences" (After Charles Baudelaire). Western Humanities Review 69: 1 (Summer 2015): 63-68. "Born So Blind," from the CD "Eat Justiss: The Poetry of Alan Justiss," featuring Noah Lunberry, 2012. “Words Away: A Poem in 125 Parts,” E·ratio. <http://www.eratiopostmodernpoetry.com/> (Fall 2008). “As If / To Drift,” “Eavesdropping Across America” and “Reconsider Now” (three poems, in collaboration with the musician Jason Arnold). EAT #1 (spoken word CD). Ed. Mark Ari. Winter 2007. “Found Eyes,” “Only Fragments” (two poems). Kalligram: Art & Idea (January 2003): 54-55. “Nobody Takes,” “The Attained Eye,” “Minds” (three poems). The 2River View 6: 2 (Winter 2002): 12-14. “Said Sounds,” “Appeared Moment” (two poems). Chicago Review 47: 1 (Spring 2001): 79-80. “Silent Thoughts,” “Thinking Of,” “Pieces” (three poems). Kalligram: Art & Idea (Dec. 2000): 85-94. “Enlightenment Needs a Minyan” (photographs). Tricycle: The Buddhist Review (Summer 1996): 48-52. “Rakan: The Disciples of the Buddha” (photographs). Kyoto Journal 20 (Spring 1992): 31-35. “Japanese Jizo” (photographs and article). Mainichi Graphic, 1 Oct. 1989: 35-42. 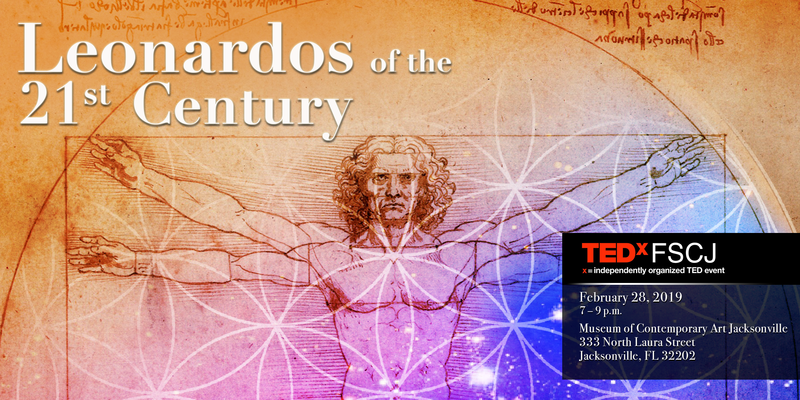 TEDxFSCJ Salon: "Leonardos of the 21st Century," Panel Member. Thursday, February 28, 2019, MOCA Jacksonville. “An Aquatic Reverie”: Mallarmé’s Writing on Water and the Naming of Waves," Power of the Word International Conference V, "The Prophetic Word," Regent’s Park College, University of Oxford, Oxford, UK, 13-16 September 2017. "And then the Windows failed | Installing Emily Dickinson,” Emily Dickinson International Society Triennial Conference, Cité International Universitaire de Paris, Paris, France, June 24, 2016. “Writing on Basho’s Pond,” American Comparative Literature Association (ACLA), Annual Conference, Harvard University, Cambridge, MA. Mar. 17-Mar. 20, 2016. Conference, Seattle, WA. Feb. 26-March 1, 2014. “Floating Form Less - Writing on the Landscape,” keynote panel (with Ron Silliman and Joe Milutis) at the conference “Convergence on Poetics,” at the University of Washington-Bothell, September 27-30, 2012. “Antonin Artaud’s Unending Death Rattle.” Conference Title: Séismes / Seismic Shifts 20th and 21st-Century French and Francophone Studies International Colloquium. University of Minnesota, Department of French and Italian. Minneapolis, MN, March 26-28, 2009. “The Deep Seascape,” two poems included in sound installation by composer Erik DeLuca, Herbert and Nicole Wertheim Performing Art Center’s Concert Hall, Miami, FL, March 21, 2009. “Installing James Turrell’s Installation Art: The Building of Next to Nothing at All.” Conference Title: Built Spaces: Earth Sky and Human Praxes. Simon Silverman Phenomenology Center, Duquesne University. April 27-29, 2007. Following Derrida: Legacies. University of Manitoba, Winnipeg, Canada. October 2006. “Vanishing Acts: Seeking Robert Smithson’s Spiral Jetty.” Invited Speaker. Ryukoku University, Kyoto, Japan. July 14, 2006. Proust/Deleuze’s Proust. An international conference organized by Cardiff School of European Studies, Cardiff University (Wales), Mar. 9-11, 2006. “Setting an Empty Stage: Proust’s Presence in Beckett’s Absence.” Conference Title: Beckett at 100: New Perspectives, Florida State University, Feb. 9-11, 2006. “Vanishing Acts: Seeking Robert Smithson’s Spiral Jetty.” Invited Speaker. University of North Florida Art Gallery. “East Meets West Meets East: Japanese Butoh.” Modernist Studies Association, 7th Annual Conference. Chicago, IL. Nov. 3-6, 2005. “‘Collaborating with Entropy’: Robert Smithson and the Exhibition of Decay.” Conference Title: (Im)permanence: Cultures In/Out of Time. Center for the Arts in Society at Carnegie Mellon University. October 13-16, 2005. “Wiping Blood from the Walls: The Make-Believe Pleasures of Tragedy and Terror.” Modernist Studies Association, 6th Annual Conference. Vancouver, British Columbia, Canada. Oct. 21-24, 2004. “Remembrance of Things Present: Steven Foster’s Repetition Series, Morton Feldman’s Triadic Memories.” University of Wisconsin-Milwaukee. April 9, 2004. “The Pediatrician and the Patient: William Carlos Williams and Robert Smithson,” 20th-Century Literature Conference, University of Louisville, February 2002. Poetry Reading at Woodland Pattern Book Center, Milwaukee, WI. October 12, 1999. “Broken English: Deviant Language and the Para-Poetic,” Conference of Postmodern Literatures, Kent State University, Kent, Ohio, April 1999. Sabbatical project, a book of collected essays on the work of theater director and theorist Herbert Blau, in collaboration with Dr. Joseph Roach, Yale University, Spring 2015. UNF Research Grant, “Writing on the Landscape: Extensions of the Poem in Japan and the West,” based at Ryogkoku University, Kyoto, Japan, as “Research Scholar from Abroad, Summer 2011. Intellectual Life Grant to bring the Hungarian poet Marton Koppany to UNF to present his poetry, March 2011. Intellectual Life Grant to bring the Miami painter Yolanda Sanchez to UNF to present her work, March 2010.
International Faculty Grant for travel to France to develop a study abroad course, August 2009. 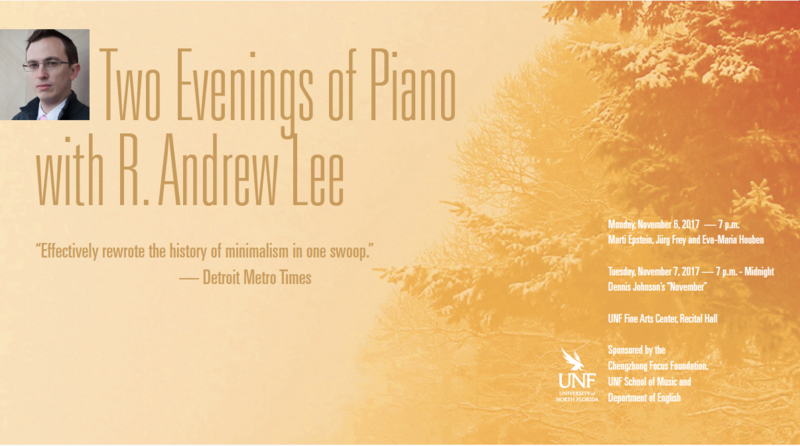 Intellectual Life Grant to bring the pianist Louis Goldstein to UNF to perform, in conjunction with my course on the New York School, John Cage’s Sonatas and Interludes, Feb. 26, 2009. 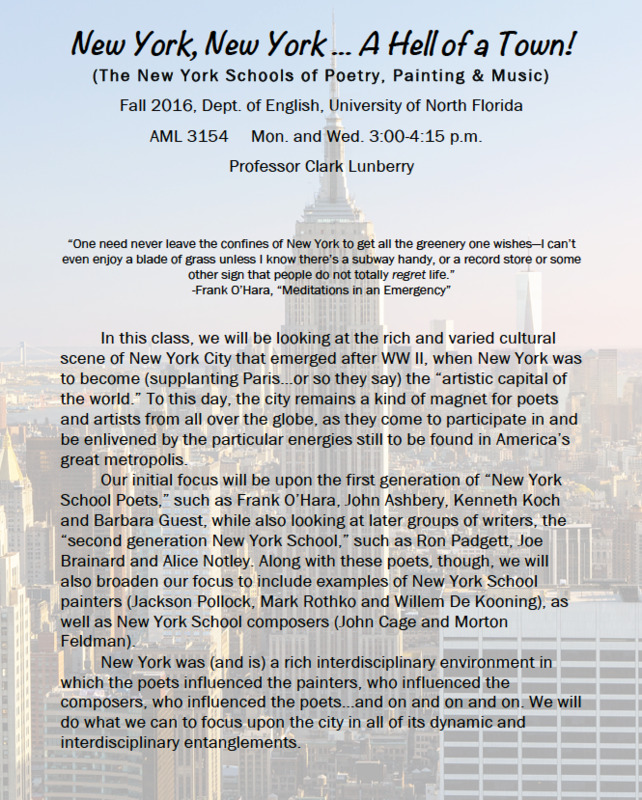 Intellectual Life Grant to invite the pianist, Louis Goldstein, for a class visit and the solo performance of Morton Feldman’s Triadic Memories, Oct. 12, 2006. "Wanderlust: The Flaneur's Modern Imagination"
"Writing the Body: Writers as Doctors & Doctors as Writers"
"Anti-Theater: or, Theater for Those Who Hate Theater"
"Tragic Women | Tragic Pleasure: Picturing Women in Pain"
"Dada @ 100: The Art of Anti-Art"
“Killing Time, and the Writing of Writing about Photography"
“‘Absolutely Modern’: The Trails and Traces of French Modernism"
“So Much Depends: William Carlos Williams and the Idea of Things"
"Lyrical Theory: The Aesthetics of Analysis and Insight"
R. Andrew Lee (Denver), pianist, performing the music of Eva-Maria Houben, Jurg Frey and Dennis Johnson's November, UNF Fine Arts Center Recital Hall, November 6-7, 2017. 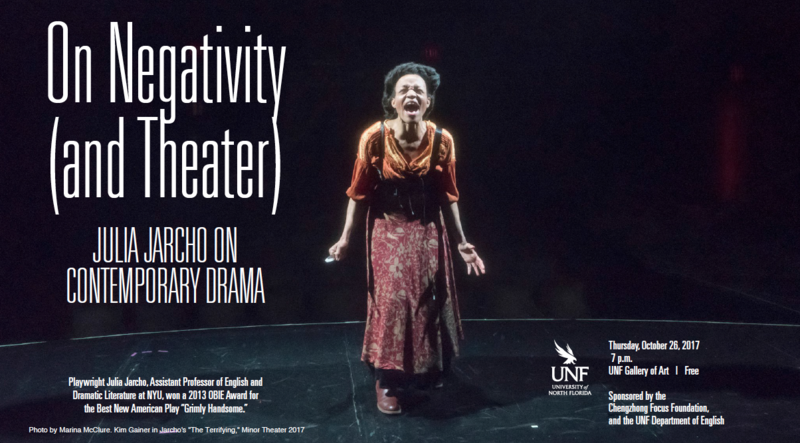 Julia Jarcho (New York), playwright, a lecture titled "On Negativity (and Theater)," UNF Art Gallery, October 26, 2017. "A Series of Boring Events," in conjunction with the Spring 2017 course, "Being Bored: The Art of Ennui"
"Watching Paint Dry," in collaboration with Jim Draper, UNF Art Gallery, Feb. 14-17, 2017. 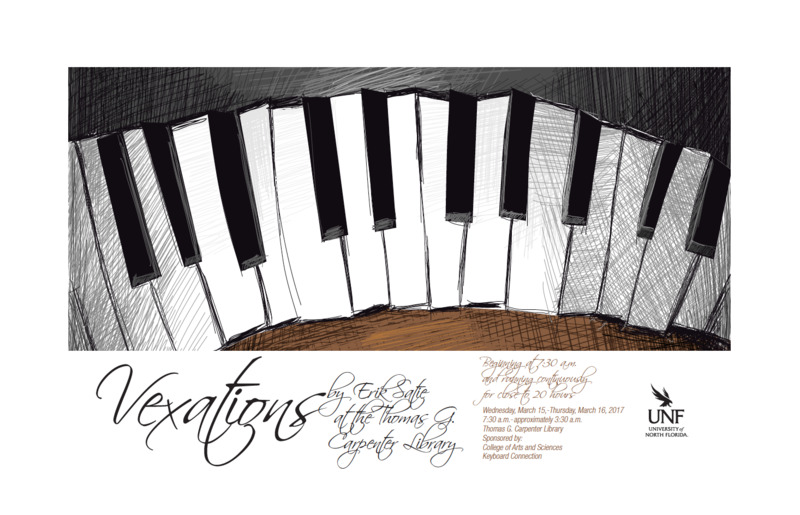 A performance of Erik Satie's Vexations, in collaboration with Dr. Erin Bennett, UNF School of Music, March 15, 2017. "Boring and Boring Again," a sound installation by Tim Albro, UNF Art Gallery, April 3-7, 2017. "The Boring Films of Andy Warhol," in collaboration with Ryan Bell, UNF Student Union, April 20, 2017. Poet and sound artist Jaap Blonk (Holland), a workshop and a performance, "Dada @ 100," at Sun-Ray Cinema, Nov. 17, 2016. 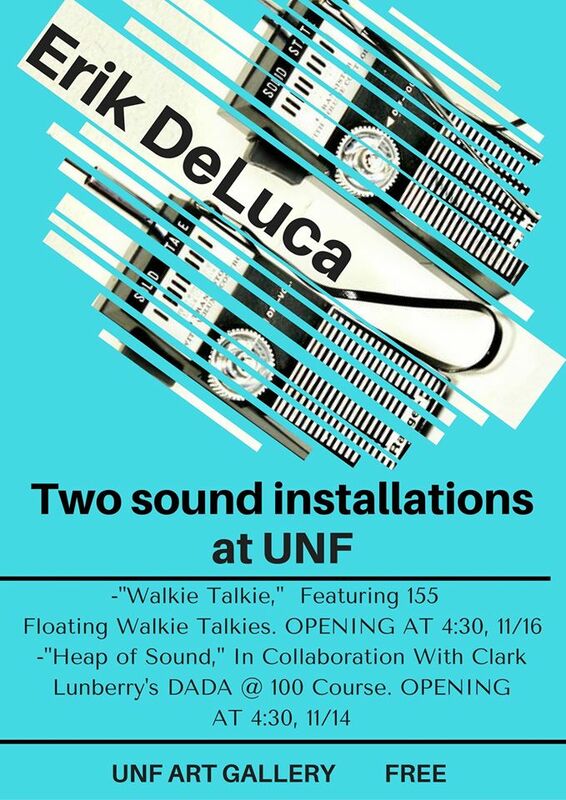 Sound artist Erik DeLuca, a sound installation at the UNF Art Gallery, "Walkie Talkie," Nov. 15-30, 2016. 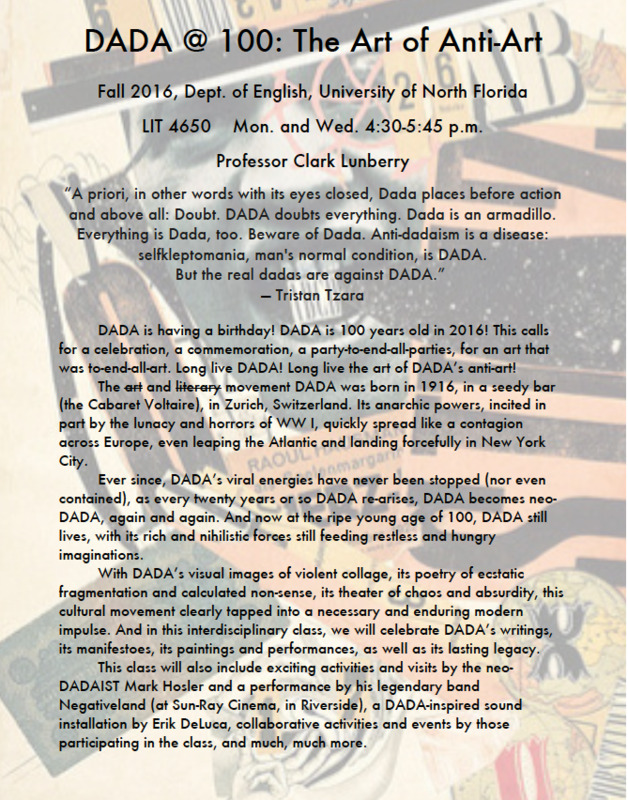 Scholar and poet, Dr. Jed Rasula (University of Georgia), a class visit and evening lecture, "Dada and the Art of the Hoax," September 28, 2016; UNF Art Gallery. Composer and sound artist William Basinski (L.A.), a performance of "Cascade | The Deluge," on March 24, 2016, at Sun-Ray Cinema, in Riverside. 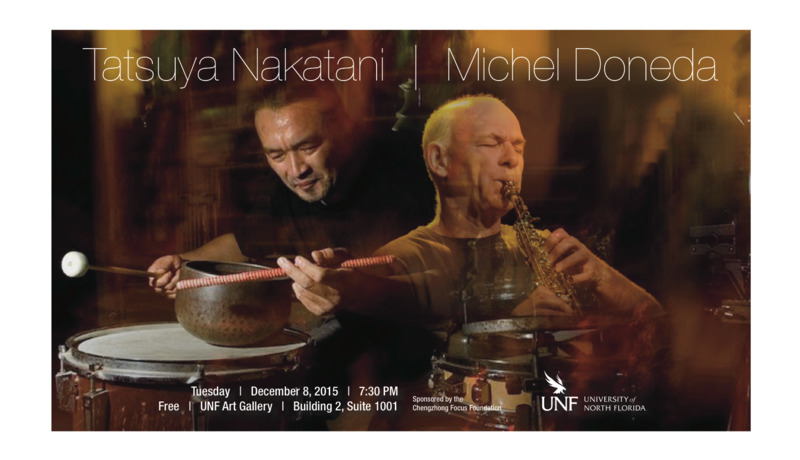 Percussionist Tatsuya Nakatani (Japan) and Michel Doneda (France), a performance, Dec. 8, 2015. 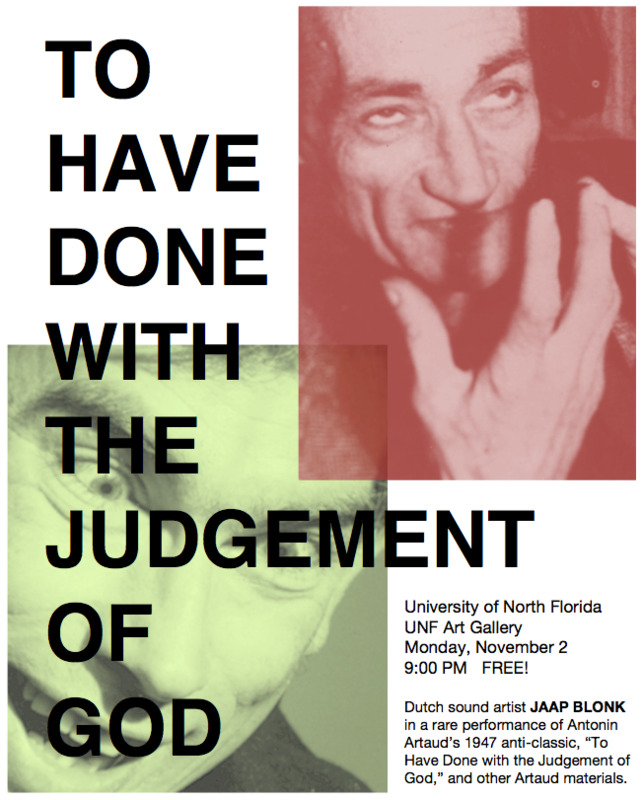 Poet and sound artist Jaap Blonk (Holland), a workshop and a performance of Antonin Artaud's "To Be Done With The Judgement Of God," Nov. 2, 2015. Rae Armantrout, class meeting and evening lecture on Nov. 20, 2014. Dr. Marta Werner, co-editor of Emily Dickinson: The Gorgeous Nothings, class meeting and evening lecture on Oct. 2, 2014. 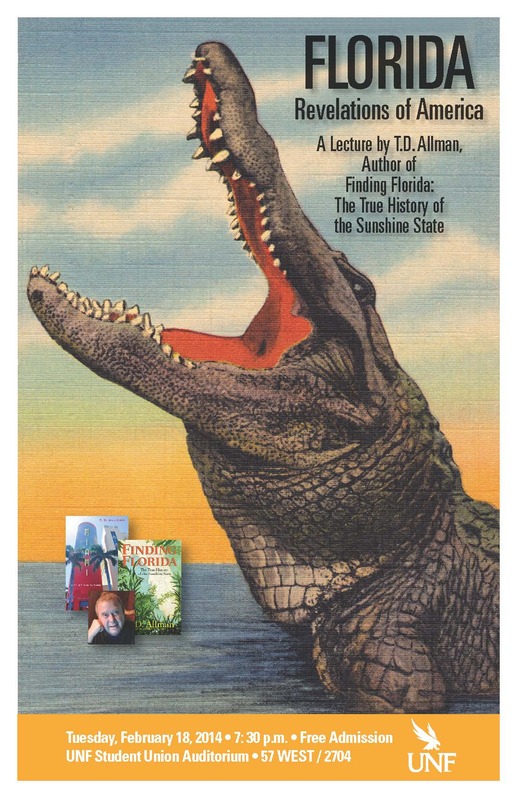 T. D. Allman, author of Finding Florida: The True History of the Sunshine State, meeting with two history classes, two English classes, and giving an evening public lecture, “Florida: Revelations of America,” Feb. 18, 2014. Poet and sound artist Bonnie Jones (Baltimore), a class visit and MOCA-Jacksonville performance, Oct. 8, 2012. 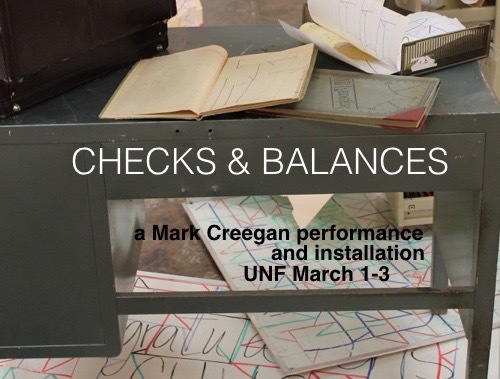 “John Cage Festival: 100th Birthday Celebration,” at UNF, March 2012, with performances by Dutch sound artist Jaap Blonk, violinist Tom Chiu (Flux Quartet), pianist Louis Goldstein (Wake Forest University), as well as local and regional artists and musicians. Coordinator of the Sound Art Series, “Liminal Collisions: Live @ Art Walk,” a monthly sound art and music series, 2006-2011, held at MOCA-Jacksonville. Marton Koppany (Budapest, Hungary), a class visit and public lecture presentation, March 2011. Pianist, Louis Goldstein, on Feb. 26-27, 2009, a class visit and the solo performances of Morton Feldman’s For Bunita Marcus and John Cage’s 4’ 33” and Sonatas and Interludes, sponsored by Academic Affairs and an Intellectual Life Grant. 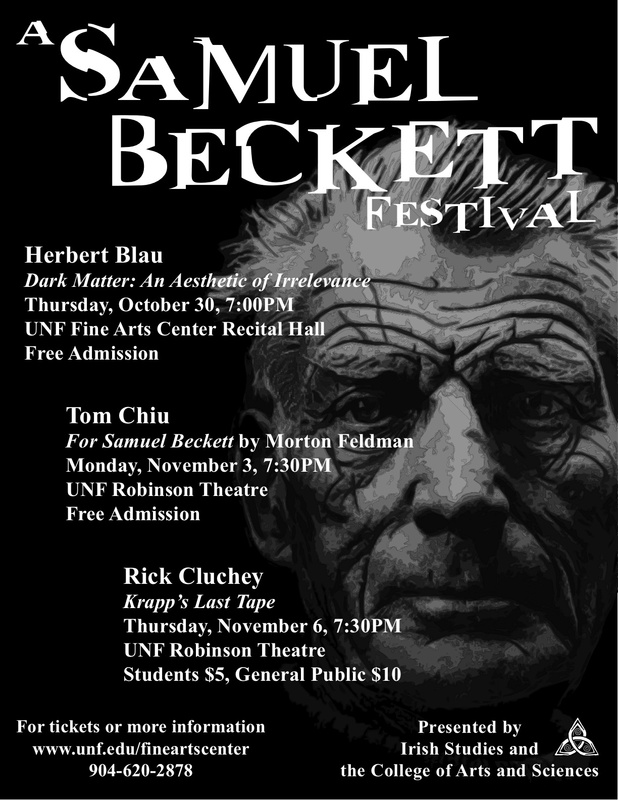 Samuel Beckett Festival at UNF, Oct. 30-Nov. 6, 2008. This festival featured a lecture by Dr. Herbert Blau, a concert of Morton Feldman’s For Samuel Beckett and conducted by Tom Chiu, and Rick Cluchey performing in Beckett’s Krapp's Last Tape. Steven Addiss, art historian of Zen painting and calligraphy, University of Richmond, March 10,2008, in collaboration with John Maraldo, UNF’s Philosophy Department. UNF Library Showcase Installation “FACT: No Stone Unturned,” April 2008, an exhibition of visual poetry. Sound artist Joan La Barbara and violinist Tom Chiu, through the UNF Fine Arts Center, March 14-15, 2007. Louis Goldstein, on Oct. 12, 2006, a class visit and the solo performance of Morton Feldman’s Triadic Memories, sponsored by Academic Affairs. Centennial birthday celebration of Samuel Beckett with a 24-hour marathon reading of Beckett’s trilogy: Molloy, Malone Dies, The Unnamable. UNF Courtyard, April 2006. Dutch sound poet, Jaap Blonk, on Nov. 21, 2005, a student workshop, a faculty colloquy, and an evening performance.. Member, committee to hire a new Dean for UNF’s Thomas G. Carpenter Library, Fall 2013-Spring 2014. Member, Campus Art Committee, 2009-present. Member, College of Arts and Science Foreign Culture Committee, 2008-present. Member, University of North Florida, English Graduate Committee, 2004-2014. Member, UNF English Department Hiring Committee, Irish Studies position, 2006-2007. Member, UNF English Department Hiring Committee, Rhetoric and Composition position, 2005-2006. Member, University of North Florida, Fine Arts Center’s Committee for Programming, 2005-2009. UNF Steering Committee Co-Chair. iTunesU, 2006-2008. Member/Judge, Boston University's Writing Program Essay Competition, 2003-2004. Suzugamine Women’s College (Hiroshima, Japan). Top honors and exhibition of video entitled “Crossing Another Spring.” Hiroshima Museum of Contemporary Art, a national art competition, Jan. 25- Mar. 24, 1992.